In the summer of 2011 I had the chance to join my university on a trip to Paris in the summer, around June or July. I used the opportunity to take advantage of all the classical music expériences that the city, as one of the historical centerpieces of the genre, can offer. One of these is the fact that many, many historically and artistically important composers are buried in the cities graveyard. On the last Saturday before I left I took this chance to go and pay homage to all of the great men and women who have made it possible for me to do what I do today. Presented below are the graves I visited, in order, as well as an assessment of sorts of each grave. As the first grave I visited, I was very pleased to find this. 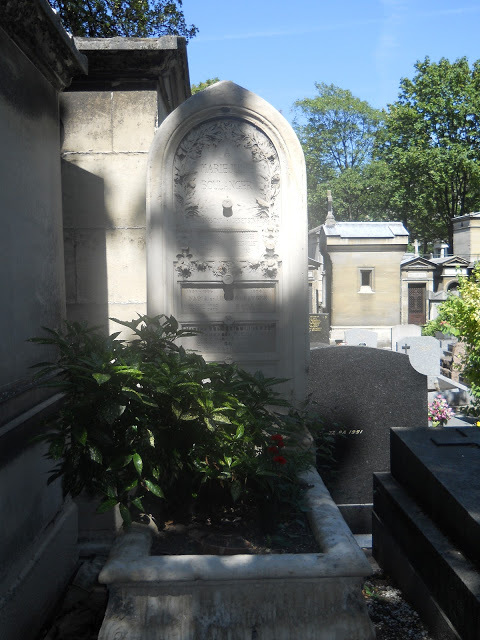 He was buried along with other members of his family, as one can see from the gravestone that marks his grave. I very much enjoyed his grave. I liked how it underlined his service to the state of France by mentioning that he had received the Croix de La Legion, a medal awarded by the French government for civil service. I think it’s great that France, to a greater extent than that of America, recognizes that artists are performing a service for the people of its country. 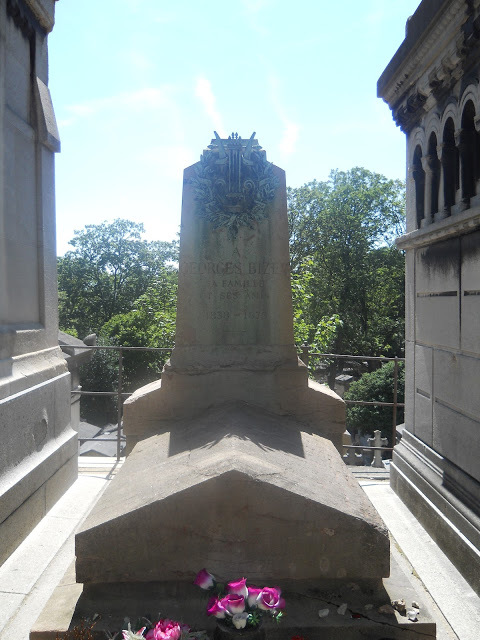 I also like that he was buried with his family, as many of the other composers were. 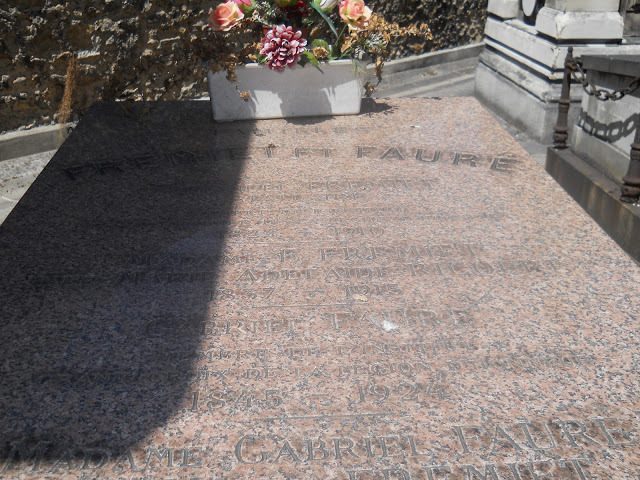 Fauré, for me, is best known for his requiem which greatly influenced the emotional trajectory of my own “Haitian Requiem”, but he is also widely recognized as possibly the greatest master of French song. 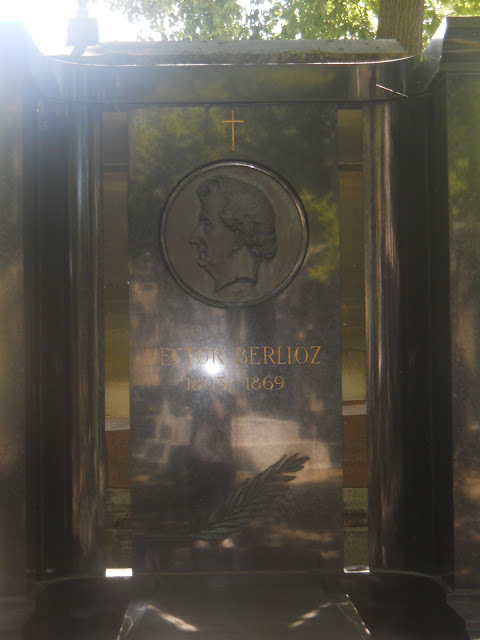 I also visited Berlioz’s grave. 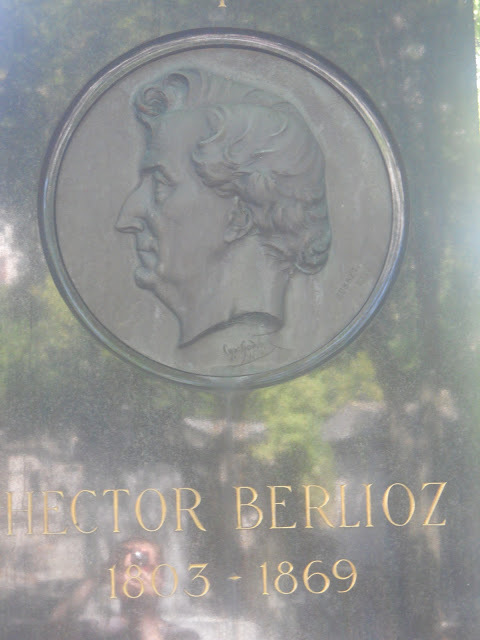 I am not overly familiar with the music of Berlioz. The only piece of his I really know is his “Symphonie Fantastique”, which is a very good piece to know if it’ll be the only one of his you know. He wrote a requiem that influenced my own as well, in that I decided not to write my requiem like his! However, I will recognize that he is a very good composer. I just thought, as mentioned before, that his grave was a little overdone and tried to compensate too much. 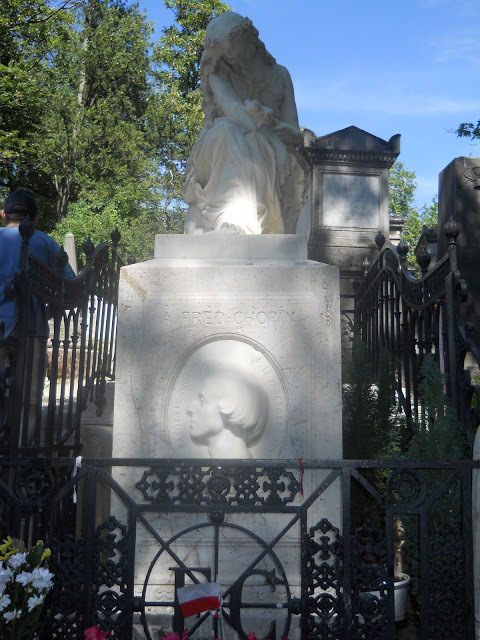 Also, he was pretty much a jerk to Chopin, with whom he shares a cemetery. And now we come to a composer and pedagogue who many might not be familiar with, Nadia Boulanger. Nadia taught an incredible amount of students, ranging from Aaron Copland to Philip Glass today. She has had a huge influence through her teaching. She always made sure to emphasize the strengths and tastes of each individual composer. Unfortunately, I found her grave somewhat under-kept; the picture doesn’t look too bad, but she was in a very-hard-to-find, remote area of the graveyard. 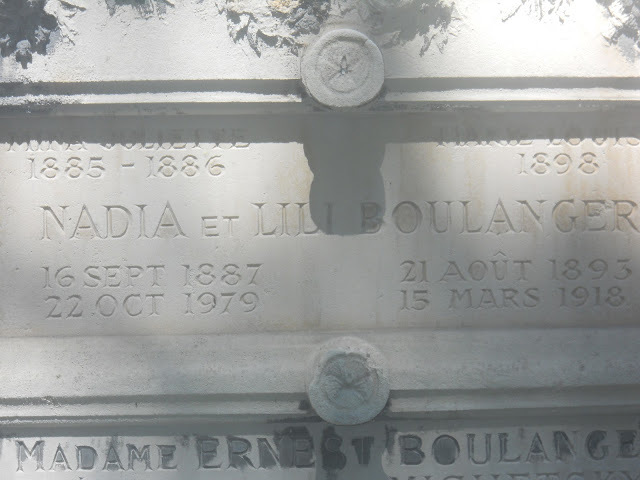 Her sister Lili was also reportedly a genius musician; after Lili died young tragically from a disease, Nadia refused to compose anymore because she felt she couldn’t do any better than Lili. Today she has influence through her own method of teaching harmony. 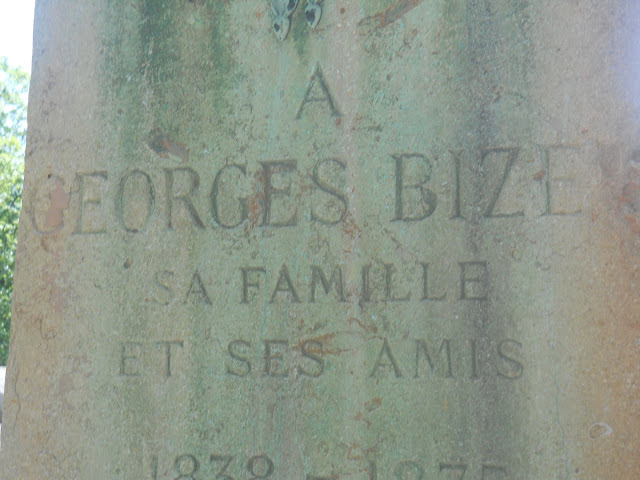 There was also Georges Bizet. 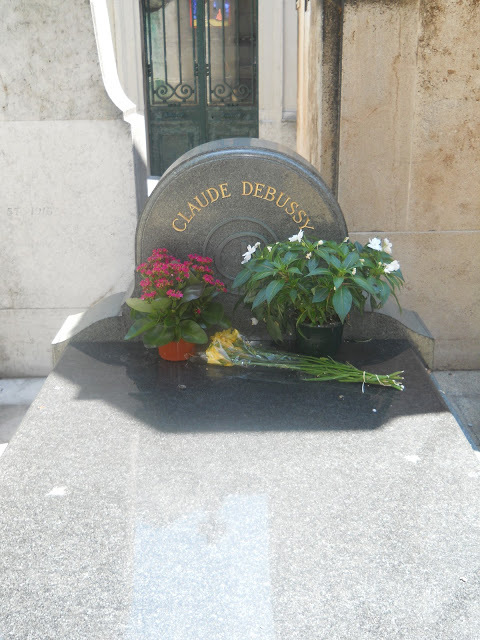 I really am not familiar with him at all, but he was in the same graveyard as Boulanger, Berlioz, Poulenc, and Chopin, so I stopped by. I only know him for his opera. 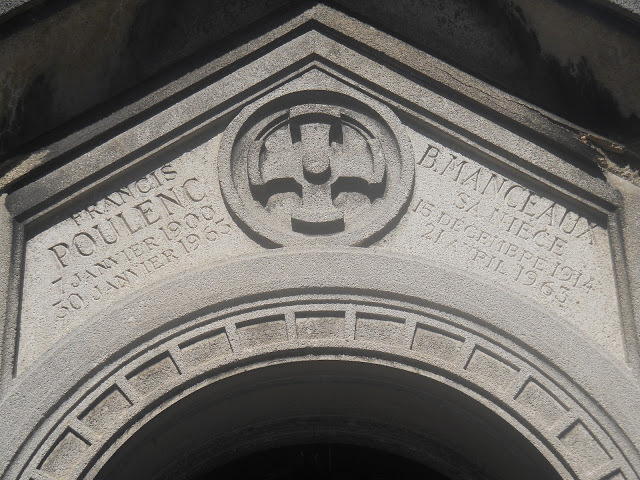 Then, there is the renowned “half-monk, half-thug”, Francis Poulenc. 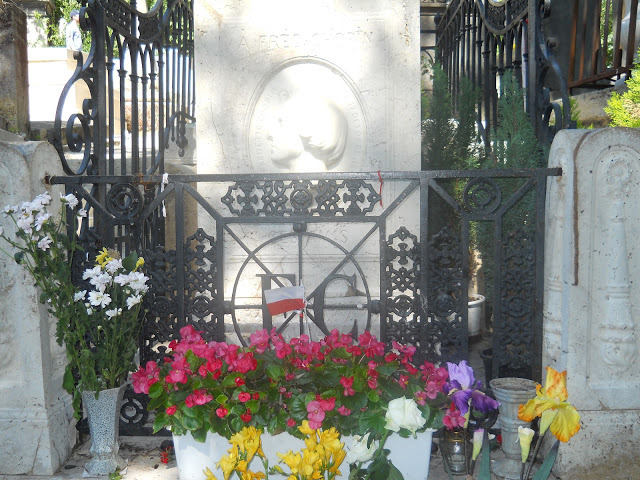 When I visited his grave, I did not know much about him. But since that time, I have become more familiar with his works. What I really appreciate about Poulenc is the number of different ensembles he wrote for successfully. This includes such interesting works as a sonata for 3 brass instruments, or even a work for an instrument from every section of the orchestra in an interesting chamber ensemble. He had a very beautiful grave, as one can see. 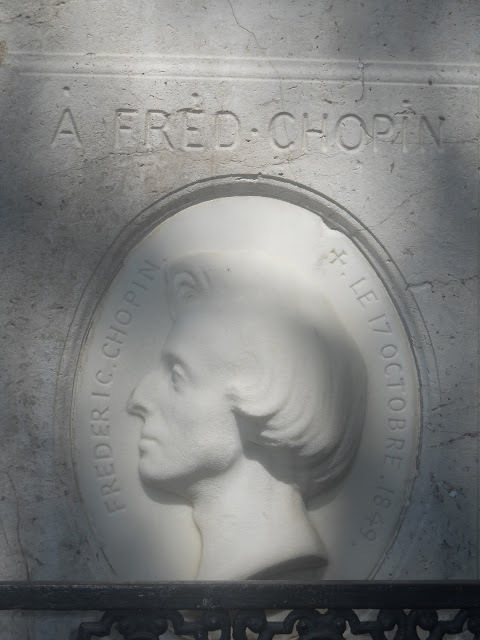 Then, of course, there was Frederic Chopin. 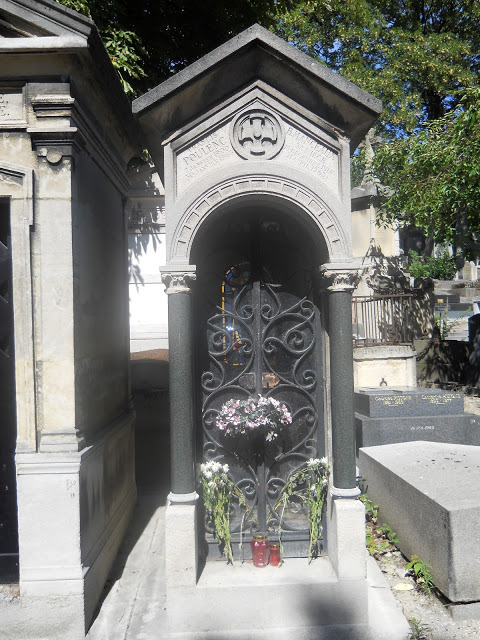 His grave was overran by tourists, most of whom I’m pretty sure might not be able to recognize any piece of his besides the extremely popular ones. 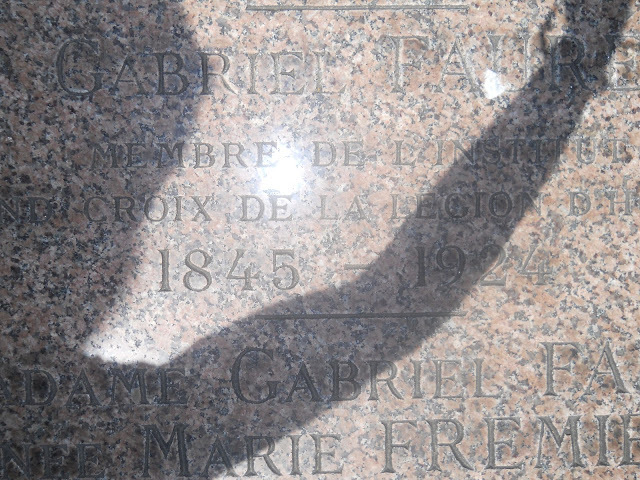 His grave was very grand, and I believe he deserves it. He is, obviously, best known for his solo piano works. 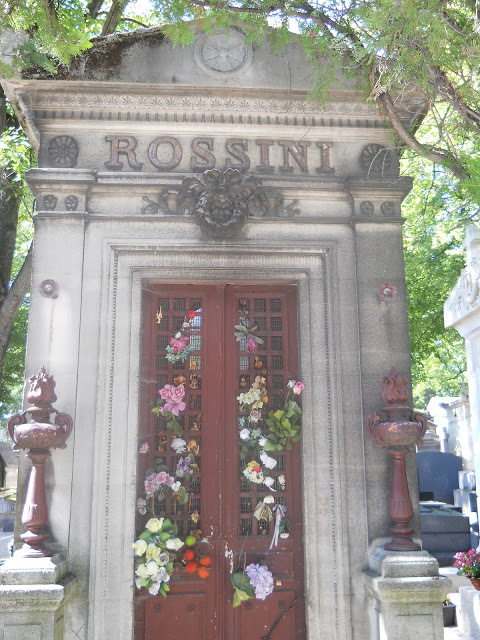 Then, there is Rossini. Once again, I don’t really know too much about him. Nice grave though! And then…and then, we come to Ravel. The absolute perfect way to end such a day. 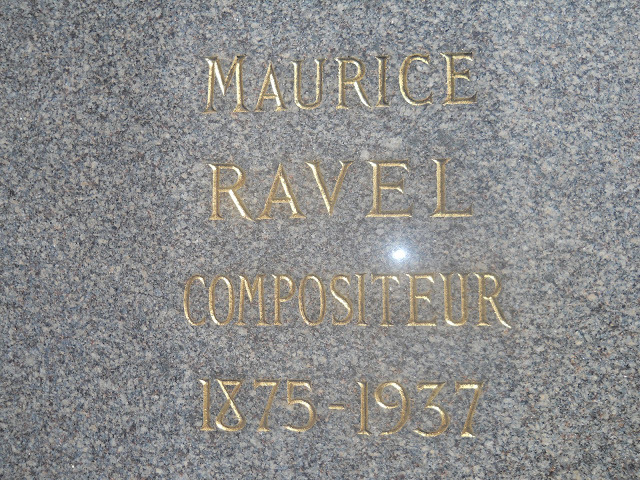 Ravel was ll by himself in a grave at the very end of the Paris metro, to the north. The nice custodian of the graveyard led me right to his grave. And here is where it really hit me just how important these men were. 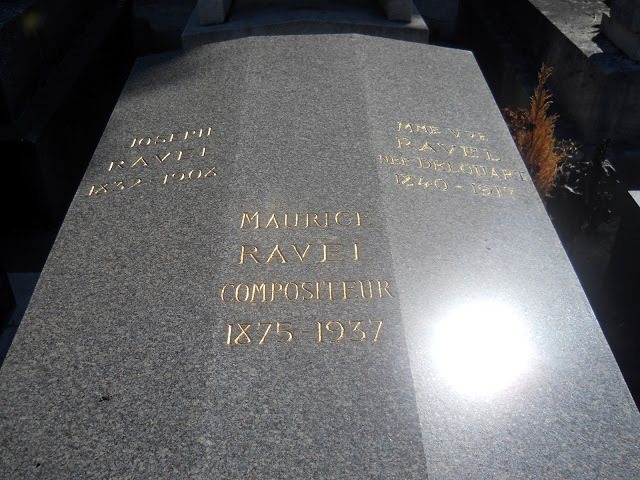 Just read the inscription: “Maurice Ravel…COMPOSITEUR.” That literally says it all. This man was a composer. He composed, in the same sense that a compound is composed of different elements. He made something where there was nothing before, and that is all he ever cared to be known by. He didn’t try to completely overdo it, like Berlioz. And the gold writing against the gray stone is simply majestic. Here is where I really lost it. I listened to my favorite piece of his, “Pavane for a Dead Princess,” and just gave thanks to whatever’s out there that I could enjoy and elevate my human spirit through works such as his. That’s what I want to be. I want to be: “ Martin Connor…COMPOSITEUR.” If I am, it will mean I have gotten everything out of my life possible. I think its a great post. I found something new in this post. You are doing a great job. Keep it up.